JNTUA M.Pharmacy 1st & 2nd Sem Regular/Supply Exam Results July/Aug 2017, jntua m.pharmacy I and II semester regular and supplementary examinations results 2017. 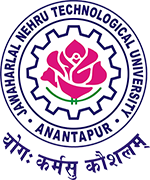 Jntu Anatapur has announced M.Pharmacy 1st & 2nd Semester Regular and Supply Exam Results July/August 2017. The results of following M.Pharmacy Regular & supplementary 2017 Examinations are declared. The results are available in the University Examinations Results Portal at http://jntuaresults.azurewebsites.net. M.pharmacy 2nd semister results sir? Waiting for results sir..